A Day in My Life - Nekaro & Co. Yesterday was supposed to be a post featuring photos from a day in my life. I think I took one photo yesterday and that was after I'd been up and gotten the kids off to school. I did blog yesterday though so I think it still counts! I did do something fun and interesting yesterday. 1. 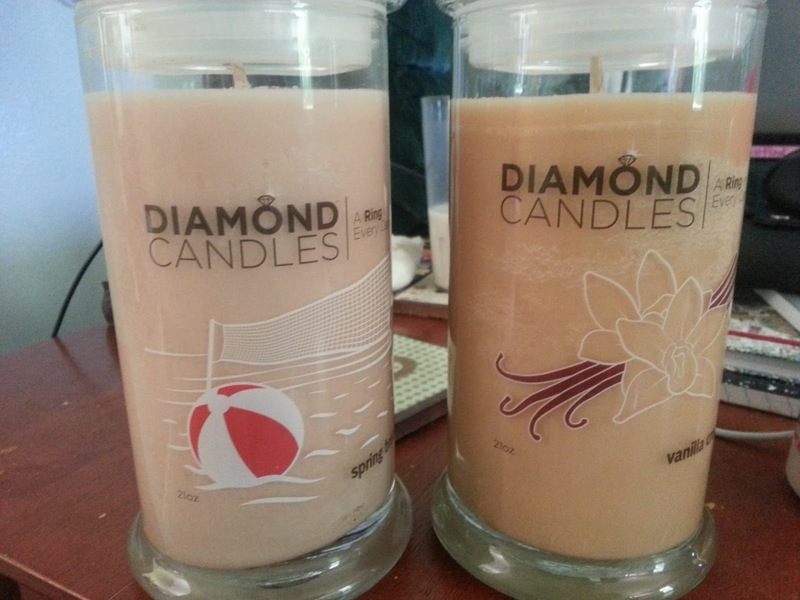 I got my first Diamond Candles in the mail. They smell lovely and it is taking all of my will power to not just dig through the wax to get to the ring. It's close to the top, but not so close that it would be easy to dig out. Oh you Diamond Candles people! So sneaky! 2. I joined Ancestry.com! And proceeded to zone out looking through little leafy hints for almost 6 hours! Within 30 some odd minutes, I found a photo of my grandmother and grandfather on my Mom's side of the family. 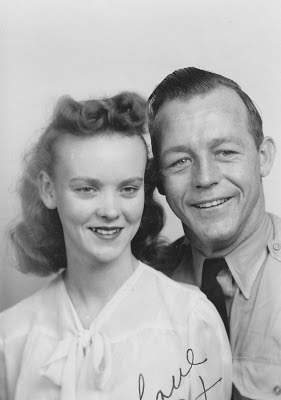 My grandmother was pretty young when she married my grandfather, only 15. Of course, in 1945 that wasn't too young to marry. They had six children together, my uncles Danny, Gary, & Wayne, my Mom and my aunts Carolyn and Frances. My mother was their middle child. 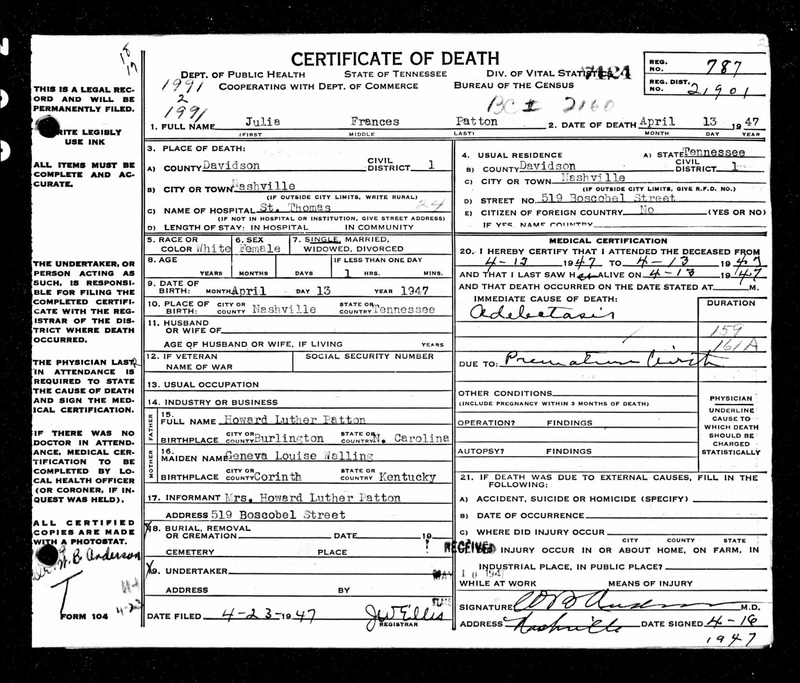 My aunt Frances was born prematurely and passed away only one hour after birth. Unfortunately, my grandparent's divorced when my mom (and aunts and uncles) were very young. She remarried, changed everyone's last name, and eventually moved from Tennessee to Florida. I was only able to meet my natural grandfather once. It's an extremely vague memory, but I still have the ceramic piggy bank that he made for me. I snapped a pic of the photo of them above and sent it to my mom via text. I called her a few minutes later to hear her crying on the other end. She had NEVER seen this photo of her mother and father. I'm not sure who the person is who uploaded the photo, but I'm extremely grateful. 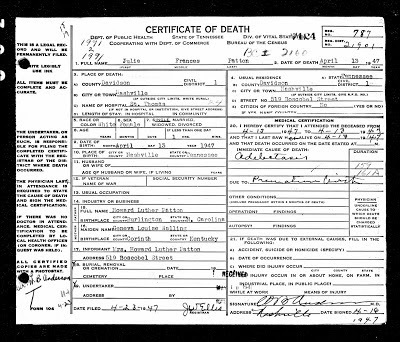 I was able to find draft cards for my grandfather and his brother. Plus tons of other census reports and links to relatives. I have a feeling this is going to take a while. And I haven't even started on my dad's side yet!